Get delicious blueberries this week at a great price! Mountainhome Farm needs your help! The blueberry and lamb/goat farm has a bit of a problem…lots of delicious blueberries all ripening at the same time. 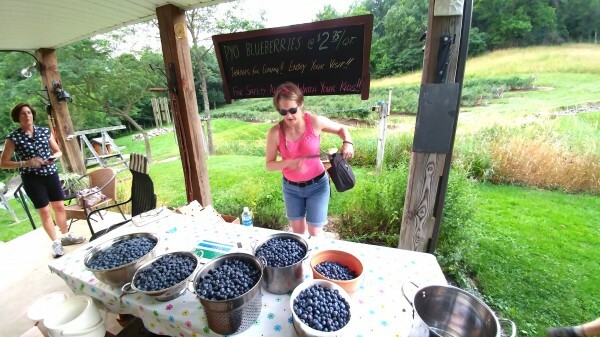 The farm, located in a beautiful area between Julian and Unionville, offers u-pick blueberries at an amazing $2.75 a quart, and they do not want to waste a single berry. That said, farm owners JoAnn and John Sengle sent a request to let people know that this week, starting at 6:00 p.m. until dusk daily, blueberry picking is available. And these are fantastic blueberries, tasty, sweet, and large. The farm offers seven varieties of highbush blueberries, which typically bear their large, easy to pick fruit from early-July through mid-August. 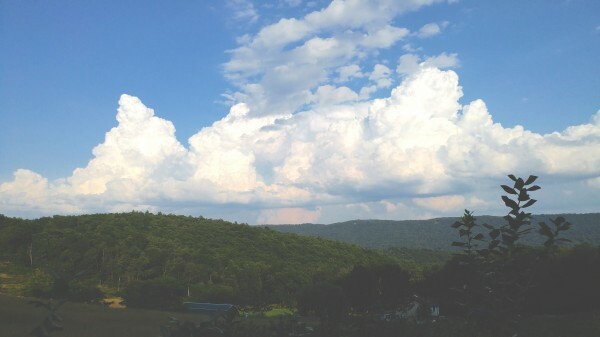 The farm offers customers an easy and rewarding u-pick experience in a beautiful rural setting with a fantastic view of the Bald Eagle Valley (the bushes are on a hillside). You do need to call ahead at 814-355-2655 to make an appointment (again, picking is only from 6:00 p.m. until dusk so you pick in the relative comfort of the cooler evening weather). Berries are sold by the quart, and they provide all the equipment necessary to enjoy easy, efficient picking. The only things you need to bring are containers to take the berries home. If you can’t make it this week, they will have berries into early August, but so many have ripened this week they need people to come get them. Nothing beats fresh local berries, and they freeze up quite well for making baked goods when the leaves turn and the snow starts flying. For more information, including directions, please go here.